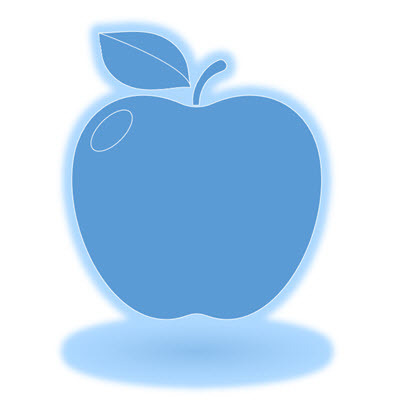 SVG is a fantastic vector image format for PowerPoint. But it is not completely Windows OS friendly, and I think everyone should be prepared for a few frustrations that can be there when using .svg images. 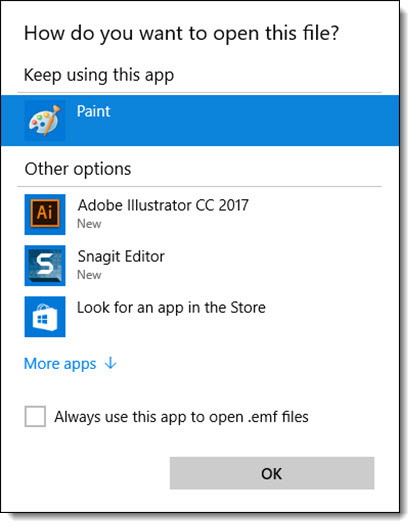 There is no image app that can open and view an .svg image, including Windows 10 Photos, Paint, Windows Media Player, etc. So if you double-click to open a .svg you will get the “I don’t know what to do with this image dialog”. Note: I currently have set SVG files to open with a web browser, as that is an app that can preview the file format. Because there is no application that can preview an .svg, an .svg icon is blank. Note 2: .svg is not the only image file format that Windows does not support. .wmf, .ai, .eps, .psd, and many others all cannot display a thumbnail image. SVG Profile = SVG 1.1. Fonts – Subsetting = None. 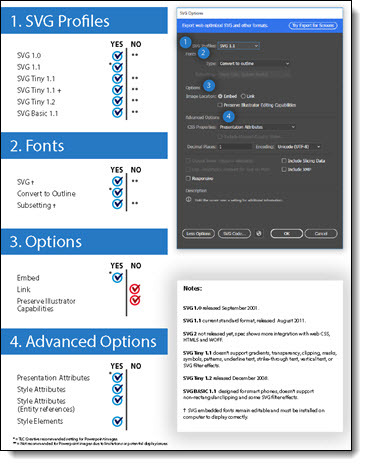 For even more details on the SVG save options, we developed this PDF 1-sheet reference to all Illustrator SVG options and PowerPoint compatibility. Download Here. 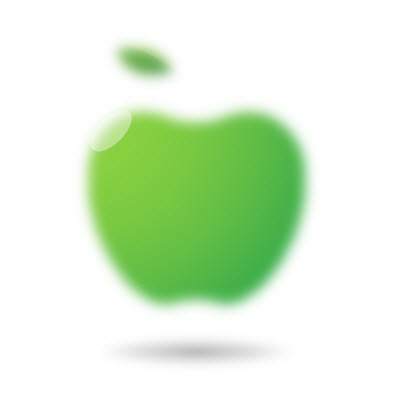 If you need an .svg image to experiment with, click here to download the apple image used for this blog series. I would classify the .svg support in PowerPoint as first generation, or v1. There is lots of additional support and features to be implemented – which I have a lot of confidence from conversations with the Microsoft Dev Team will steadily be added. 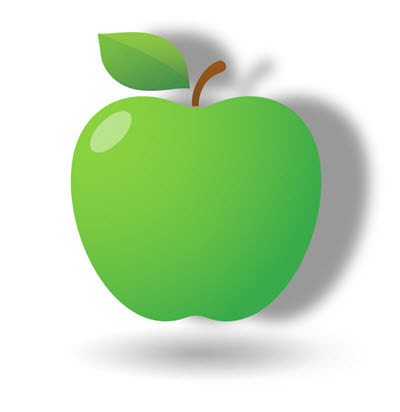 True vector format, so image can be resized from very small to very large with no quality loss. 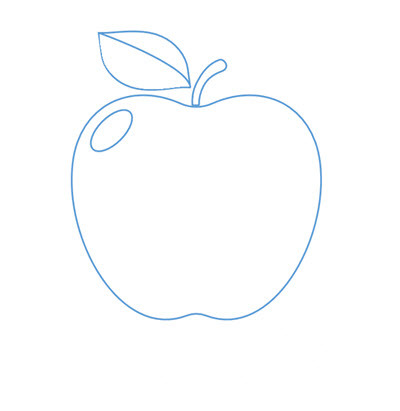 BUT, there is a work around to some vector shape editing! PowerPoint’s Merge Shapes tools work on .svg images. 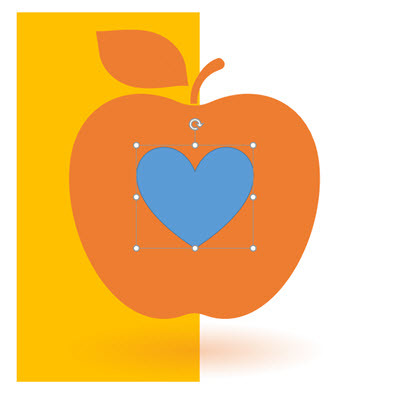 As example, here is our sample image with a PowerPoint heart shape added. 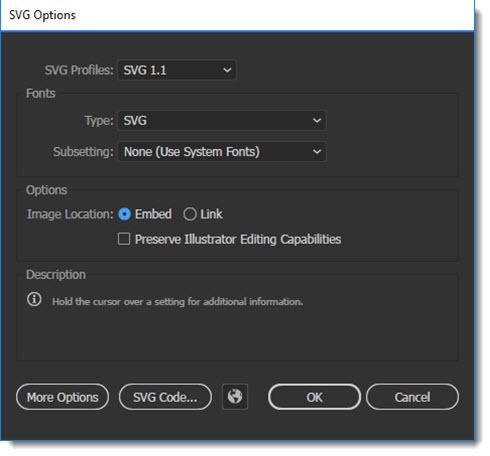 .SVG is the future of vector images and graphics in PowerPoint, and if the PowerPoint Dev Team continues to add functionality and features (like edit points, gradient fills, etc.) I predict .svg will become a common file format on par with .png. 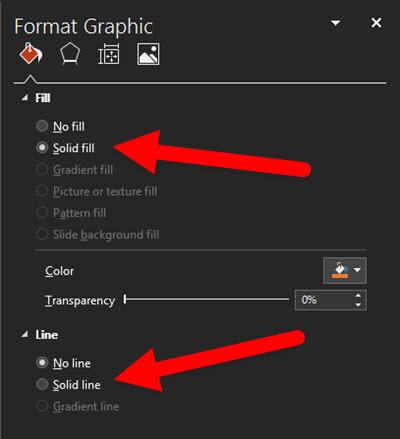 Why Vector Graphics In PowerPoint? PowerPoint has always supported multiple image file formats. All PowerPoint shapes (circle, rectangle, rounded rectangle, etc.) are actually vector art elements. While PowerPoint was an early adopter of .png images (raster images with transparent background), it has definitely been slow in supporting more robust vector image formats. 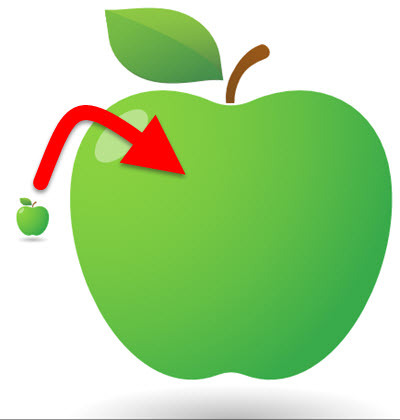 Question: But why are vector images important, especially for presentations? Answer: Flexibility and file size. 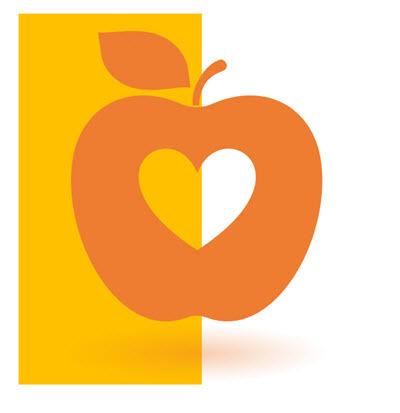 Flexibility: Vector graphics can be resized from small to large with no quality loss – which is a huge advantage in repurposing graphics throughout a presentation or other presentations. 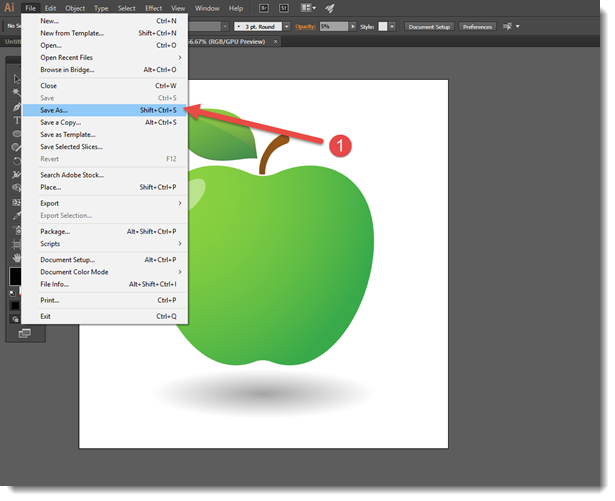 File Size: Vector graphics have a huge advantage over raster images (eg. .jpg or .png) when it comes to file size. 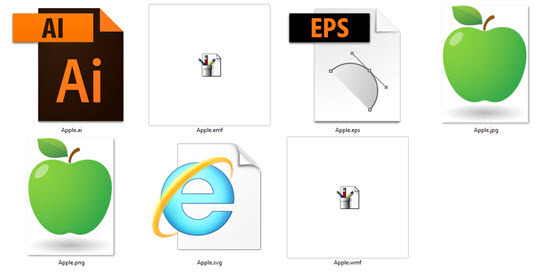 As example we saved this image in 6 of the most common file formats. Same image, same quality on a slide, big difference for the file size. Multiply this by 10-20-80 images in a presentation and the file size can be 5MB or 250MB (assuming PowerPoint optimized rasterized images. But could easily jump to 500+ MB with oversized high res images). 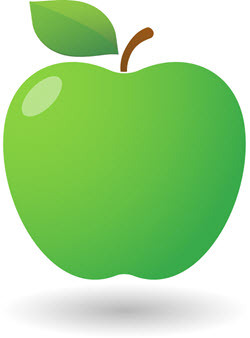 Why: Vector graphics are made of mathematical paths – which means they are mathematical lines and fills not pixels. 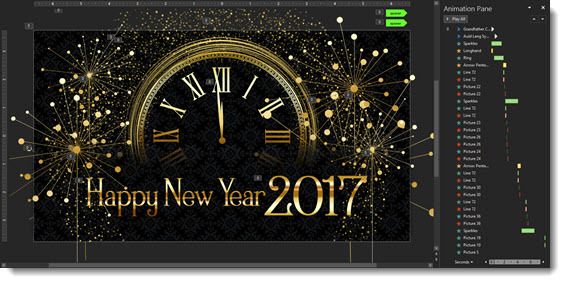 Vector format graphics can be sized and scaled from small to large without a loss of resolution. Because vector images are mathematical formulas and not pixels the file is (almost always) much smaller than raster images. But there is a difference between vector formats as you can see in the above example. 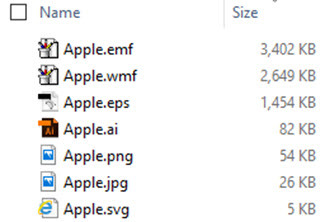 .emf and .wmf are old, limited vector formats that do not handle gradients well and are the reason their file size is so large. SVG is one of the newest vector file formats to emerge and as this example shows, it handles compression great! 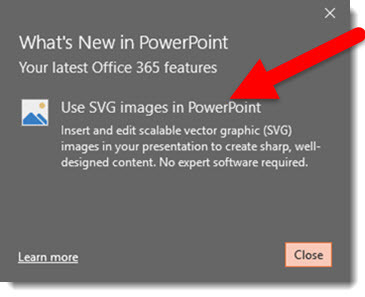 All versions of Office 365, PowerPoint 2016 now support .svg images! This extends to PowerPoint, Word, Excel and Outlook. 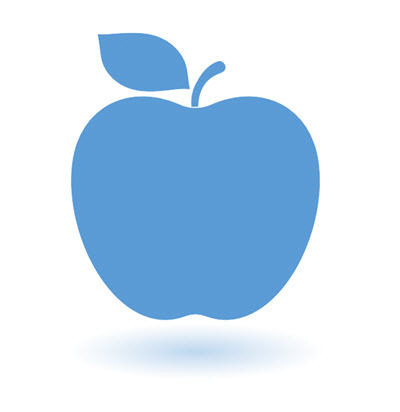 .SVG is “Scalable Vector Graphic“, and as the name implies, it is a full feature vector format. SVG has been around since 1999, but only moved into design mainstream within the past few years. A few reasons for its increased use is virtually all web browsers have included support for it (Internet Explorer, Edge, Chrome, Safari, Firefox, etc.) and specialty mobile device formats (SVG Tiny, SVGT, and SVG Basic, SVGB). For presentation designers this is a huge feature. 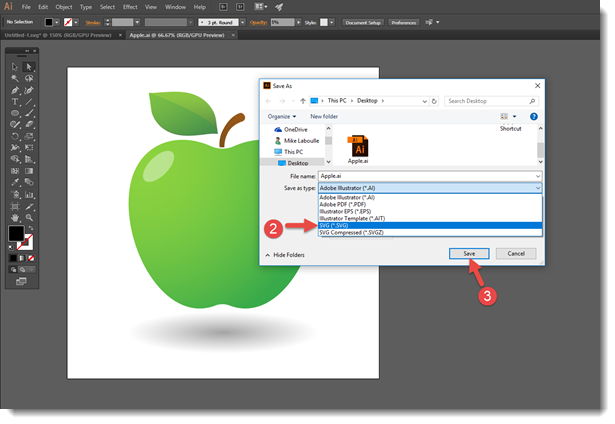 PowerPoint has been very slow in adopting vector format support with legacy file formats .wmf and .emf being our most common format when developing art elements in Adobe Illustrator for use in PowerPoint. Both of these formats are very limited and have poor quality (especially in anything beyond flat art) and larger file sizes (often larger than a .jpg version of same image). Over the next few weeks we have a blog series on the many different aspects of using .svg images in PowerPoint. Microsoft Has Removed The Font Icons in the Font Drop Down!! PowerPoint has always lagged behind in font management, it is something that seems to have never been a priority for the dev team. And I have had a list of needed tools and ideas for implementation I have shared with the Dev Team at Microsoft over the years. But suddenly (this can be the evil side of subscription software), the only font management tool PowerPoint offered to indicate if a font is installed on a computer was removed!!! This image is from a May 2016 post that shows the font drop down list in PowerPoint 2016. 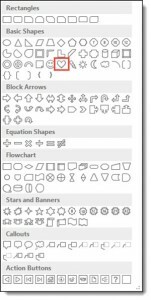 Note the small icons that indicate if a font is a TrueType or OpenType. The key is if the font is not installed on the computer, the font name is listed but no icon was shown – because the font is not available there is nothing to provide details on the font type. This missing icon was immeasurably valuable in troubleshooting font defaults (when slides do not display text as designed because PowerPoint randomly assigned an installed font for the missing font used). This is a feasible feature at best, but it provided some help in identifying font issues. 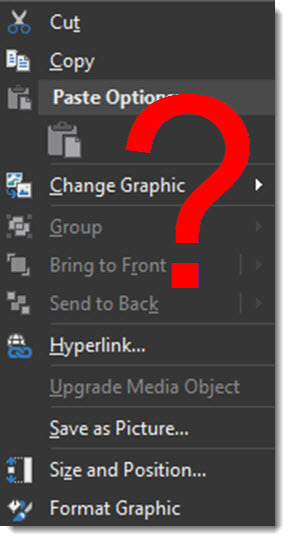 Here is the font drop down menu from today, PowerPoint 2016, Windows Office 365, 32-bit – no font installed icons!! Note 1: back in October 2014 I posted about the same icons being removed from the Replace Font dialog – and Microsoft has still not made updates to put them back into that dialog. Note 2: Several of the PowerPoint MVPs tested on their computers and it looks like the 64-bit version may still have the icons, the 32-bit version does not. Non Office 365 versions still have the icons. All PPT shapes are vector (meaning they can be resized with no quality loss and are very small in file size). 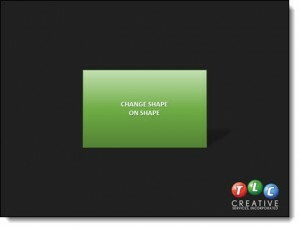 One great feature of PowerPoint (that has been in many versions but hasn’t been discovered by everyone), is the ability to change shape to any other shape – AND maintain all format styling and animation! Here is an example, a rectangle with gradient fill, text styling and cast shadow. 1. Select any shape on a slide. 2. Go to the FORMAT TAB. 3. 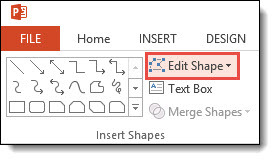 Click the EDIT SHAPE drop down menu. 5. 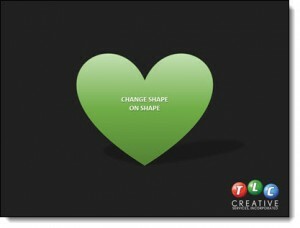 From this PPT shape gallery, select the new desired shape – for this example, we are choosing the heart shape. 6. The rectangle changes to a heart shape – and the color file, drop shadow, gradient, text font-color-styling and animation are all still there! PowerPoint Animation Thanking U.S. Veterans! Here is an animation developed using only PowerPoint, and exported as a video (using PowerPoint’s video export). Thank you to all that serve and have served in the U.S. armed forces!